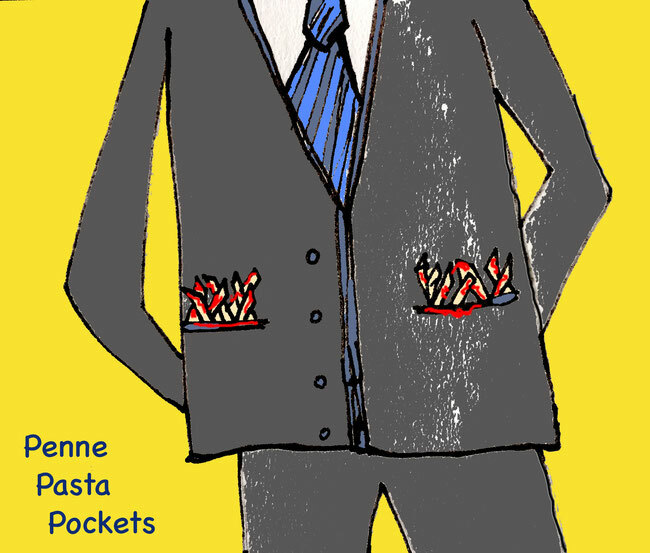 Penne Pasta Pockets - megandraws's JimdoPage! 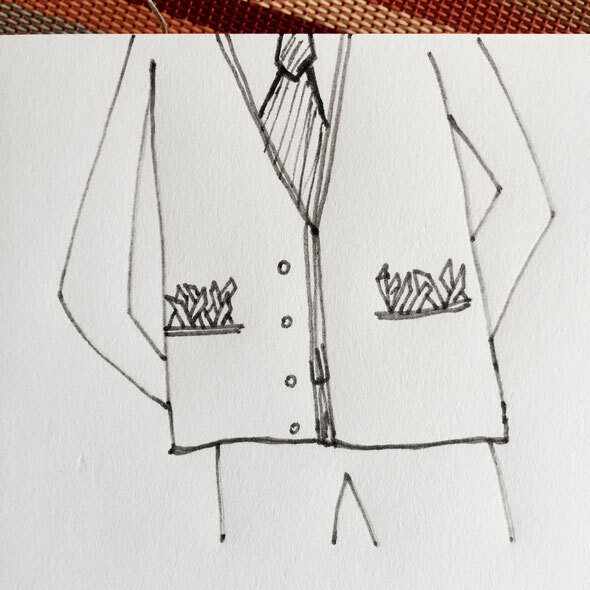 Tonight my hubs Kai is going to a fancy business dinner in his nice new suit. He mentioned there might be PENNE PASTA and he could try and bring me back some. What's better than a doggy bag? Just stuff those 'ronies in your new suit pockets! What a way to make a memorable impression, right? Mr. Penne Pasta Pockets, Architect of Deliciousness.